"Since the invention of the kiss, there have only been five kisses that were rated the most passionate, the most pure. This one left them all behind." For you, love is like a fairy tale - albeit a fairly twisted one. You believe romance is all about loyalty, fate, and a good big of goofy fun. I would also like to spread more Valentine cheer to all my friends in the blog world by joining Jean in her Valentine's Love Meme! I think this is a great meme for you get a chance to show your love for LOVE itself by taking part. So what do you say? Will the following bloggers join me in this LOVE-ly meme? Sandee, LadyJava (LLP), Mize, Kimberly, Polly, Faizal, Mystique, Lainy, Beth, Laura, Monica, Crissy, Gagay & Pu Niao. Also, please get the code for the corner banner from Jean's blog. As usual you know me and HTML, we don't jive that well so I couldn't get the banner code to appear on my post, however the love banner is proudly displayed at the top right corner of my blog as you can see, as per the rules of this meme! 1) Once you're tagged, install the corner banner at your blog as a third party html code. 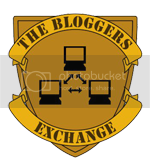 (The corner banner need to stay at your blog for at least 2 weeks). 2) Post about this meme, Valentine's Love. 3) Add your blog/s with link/s to the Valentine's Lovers list and leave a comment at this post HERE. 3) Tag all your special friends. 4) Please remember to update your list regularly so that you would not miss out anyone in your Valentine's Lovers list. p/s: The wordings on this banner with automatically change to 'Tagged with Love! xoxo' on Feb 15. Guess what? Took the quiz and the result - my love life is like the princess bride - same as yours! Haha! oh! hahaha! thank you mariuca for the valentine tag..*giggles*..
oh no! whattaaaaaaaa romantic tag this would be mariuca!hahaha! ill try this one now! Kim, thanks to CommentLuv, I knew anonymous was u from ur recent post! Cool yeah this CL? 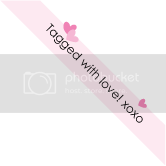 It is a great tag and just in time for VDay too yeah? Recent blog post: Too Many Things, Too Little Time! Mcm best jer test ni..
SB widget ni memang kecik sikit..
Dear Mariuca, thank you for tagging me in this meme. I gave you a V-Day linky love too. happy valentines day mariuca! am just done with the valentine love! I got the same movie as you! I actually own that movie. LOVE IT! Ha ha ha ha ha!! You too Mon? Ok can’t wait to know his result LOL!!! and something wrong with the Recent blog post also..it shows "The site http://anniniput2.blogspo... does not match member ID5718" here! I left u many angry smileys at ur site just now, did u see them ???? All wen missing lol!!! Ha ha ha ha ha ha u are making me ROTFLMAO la Monica!!!!! Ha ha ha! no I didn't put www in my url..
my blog doesn't have the www la...LOL! See they all wen missing Mon!! :( What is up with JS? ok let me try again.. He he dats why we need LJ to come home and bug her BF lolz!!!!!!! some more so long huh...LOL! Ok working fine at ur blog! Lemme go to mPG now!! I can see my CL fine dearie, can u see them here? meaning something wrong with my url is it? Hmmmmm maybe, am not sure..cause ur CL is okay at ur site, no probs there and mine seems to work fine here too. Maybe u can logout and login again? WOW Mon, u're number 1 lol!! ai yo my own comments at my blog also disappeared...LOL! is your Top 10 Mariucans widget working fine? Mon u try refreshing ur blog and see if ur comments appear. Sometimes it appears, sometimes it doesn. Am refreshing ur blog now too! I refresh the page until my fingers almost numb..LOL! Mon, both my TC widgets are working fine, yours too right? Dunno la Mon, heartpain thinking abt it, hurry and come home LJ!!!!! Hi Marzie. Thank you ever so much for this lovely meme! Love is indeed in the air. Thanks for the effort in helping me out with the TC widgets. Hi Marzie, thanks for sharing this beautiful meme. Happy Valentines day to you and may you have a fantastic weekend! Recent blog post: Spreading the Love! it's really indeed perfect for mariuca's template..so so good to look at! Jean had KFC for V-day, C and I had McD! Lol!! I just posted the Valentine´s Love. My result is the same, lol. Check out what I added to My Countryhome sidebar. Thanks for being a Top Dropper and Comentor! For you, love is never finished. If you've loved someone once, you'll always love them. You're an old fashioned romantic... even if your relationships don't end up as romantic as you'd like. 3 blog only Mon? LOL so cute! ;) Busy celebratin eh? Recent blog post: Promote Your Blog! I see u Debbs and yes, it's been ages LOL! some more naik satu tangga lagi for TCM!